National Restoration Party – NAREP president Elias Chipimo says it is wishful thinking for acting President Inonge Wina to say that load shedding will end by next year without investing in alternative energies. Last week Wina said that the power outages will soon be a thing of the past but this is even contrary to the PF government who when Dora Siliya was energy minister said that it requires three good rain seasons for the Kariba dam to fill to desired levels. Chipimo urged the government to ensure that there is investment in alternative energy other than relying on hydro electric power. He said that the demand for electricity was always increasing while the rainfall pattern still remains uncertain hence opening up more hydro power stations cannot be considered as a solution to end loadshedding. And UPND chairperson for labour and former Kankoyo MP Percy Chanda has urged the PF government to ensure that the cost of electricity is reduced if the dream for industrialisation is to be realised. Mr. Chanda said that the country has faced many job losses because of high cost of doing business, of which electricity was one factor. 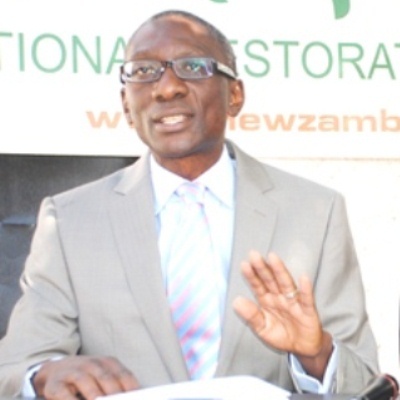 Chanda has charged that for as long as there is no production taking place in Zambia, the country shall always remain a trading sector and thereby fail to create formal employment to youths. He has also challenged President Lungu to state how many jobs have been created for youth in line with the the national youth development plan which talks about creating jobs for youths.